Take 1 tablet daily. 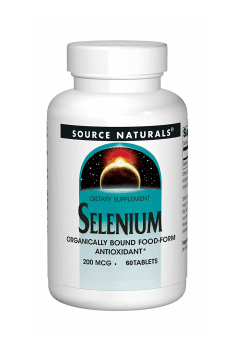 Additional benefits may be obtained by taking this product with vitamin E.
Selenium has a synergistic effect with vitamin E which also improves its absorption. To enhance the antioxidant effect, it is thus recommended to take also a preparation with vitamin E.
Patented antioxidant components GliSODin® and SODzyme®.